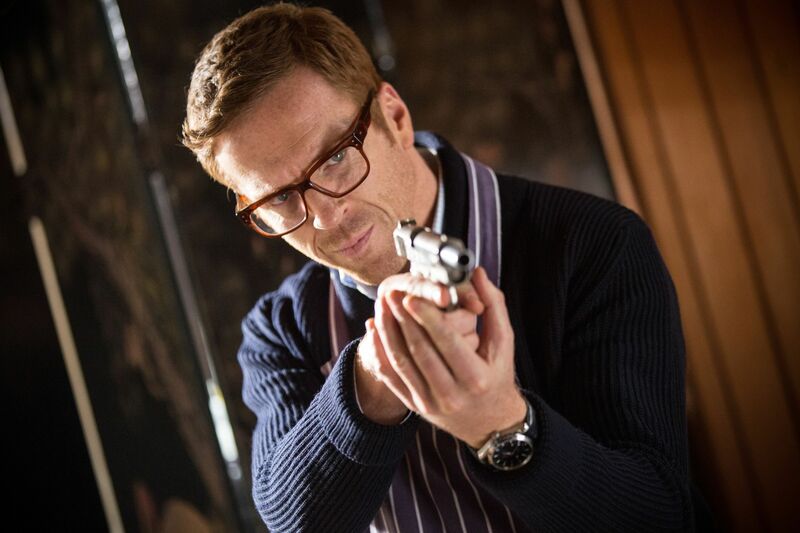 That’s certainly the hope of Damian Lewis, who stars in the movie adaptation of one of the espionage author’s most recent works, Our Kind of Traitor, which opened at cinemas this weekend. But had things worked out a little differently, the Eton-educated actor could have been in both. “It’s funny, I was making a film called Dreamcatcher in 2003 and the director Larry Kasdan gave me a book he wanted me to read and told me he wanted me to play the lead role,” Damian recalled. “That book was The Night Manager and for all that time since it has sat on my bookcase, I’ve only ever flicked through it and never properly sat down and read it. “Cut to me being at the Golden Globes ceremony earlier this year and sitting at one of those very English tables with Tom Hollander, Tom Hiddleston, and (producer) Simon Cornwell, who is the son of John le Carre. “They were there promoting the TV version of The Night Manager, which I didn’t know anything about! Damian has definitely made the part of MI6 agent Hector his own in Our Kind Of Traitor, playing him as an old-school, sharply-dressed spy with a moral code. “There’s someone in nearly every le Carre novel who represents the author and I think Hector is that character in this story,” says Damian, who despite his success in America with Homeland and new Sky Atlantic series Billions still lives in London with his actress wife Helen McCrory and their two children. Hector is called upon to assist with the safe passage to London of a Russian Mafia boss and his family after he’s alerted to his desire to defect by an ordinary British couple (played by Ewan McGregor and Naomie Harris) who meet him while on holiday in Marrakech. But someone of high importance within the British Government would prefer it if the Russian mob boss disappeared, along with the secrets that he’s offering to tell the authorities once he’s safely ensconced in Britain. Damian, 45, who attended the Guildhall School of Music and Drama at the same time as his Crieff-born co-star McGregor, met with real life secret service agents during his preparation for the role. “I went to the Special Forces Club [a private members club for Special Operations and intelligence personnel] and had lunch with two operatives who’d worked in Africa. “One was perfect for the role of Hector because he had worked in the City before deciding to join the Foreign Office. As an actor who is constantly linked with taking on the role of James Bond if and when current 007 Daniel Craig hangs up his licence to kill – and who has never been shy of professing his interest in playing him – Damian says the worlds created by John le Carre and Ian Fleming are noticeably different. “Fleming’s world of espionage is about fantasy and wish fulfilment, whereas le Carre is interested in drawing stories from real time and culture,” he reasons.